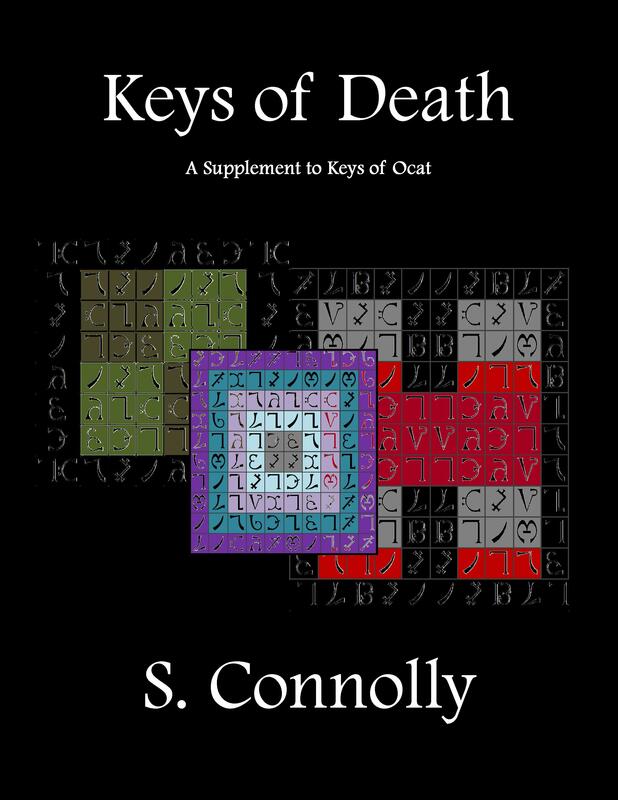 This booklet is ultimately a supplement to the forthcoming Keys of Ocat: A Grimoire of Daemonolatry Nygromancye and nothing more. It was created as a way to get the death tablets out to my readers in the manner I intended for readers to see them — large and in full color. They lose something in the transition to black and white. 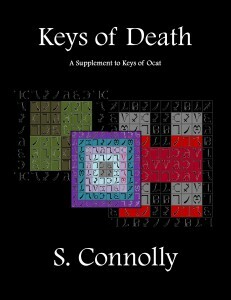 Due to budget concerns, we were unable to have them printed in Keys of Ocat in full color. They’re “Keys” for a reason. Having the plates in full color goes a long way to that end.